Phenocal Review (UPDATED 2019): Don't Buy Before You Read This! 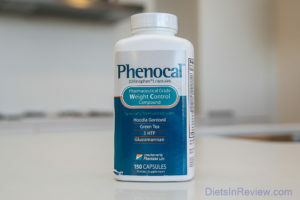 Phenocal is a weight loss diet pill that is said to be of a pharmaceutical grade and made with all natural ingredients. It combines a proprietary formula of herbs that are made to suppress appetite, burn fat, increase energy and increase metabolism. The company describes itself as being a safe yet still effective solution for weight loss. Due to it being pharmaceutical grade, it’s intended to be high-quality and effective for weight loss. Fucoxanthin: Extract taken from brown seaweed which is used to help burn fat. Glucomannan: This form of dietary fiber is used to help thicken and emulsify other ingredients. It’s also said to help promote weight loss by satiating appetite and reducing bad cholesterol. Green Tea Leaf Extract: This common tea has a high number of antioxidants and is used to help increase metabolism due to its caffeine. None of the ingredients in Phenocal are revealed as to how much caffeine they contain. Yerba Mate: The leaves of this plant are brewed into a tea which can increase energy and raise metabolism. It helps to stimulate the muscles, heart, brain, and blood vessels. Coleus Forskohlii: Herb that can raise testosterone, it’s also used to help burn fat. Evodiamine: The berries of this tree are used to help increase weight loss and decrease swelling and pain. 5-HTP: This chemical is used to help create serotonin to boost mood and aid in reducing obesity. One month’s supply of Phenocal is sold from the official website for $39.85 with $7.95 shipping and handling. They also sell bundle packages for increased savings, but their money back return only extends to one bottle. The price is similar to what other stimulant heavy diet pills sell for. They also offer a “help desk” for live communications with a customer service agent in the bottom right-hand corner of their website. A 60-day return is offered on one returned bottle that is purchased directly from the official website. There is also a payment for shipping and handling on the customer’s part. Conclusion – Does Phenocal Work? 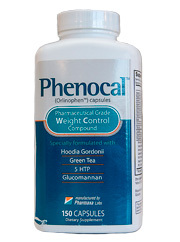 Phenocal uses many common weight loss ingredients that many other brands use. There is the possibility for metabolism-boosting via the caffeine-containing ingredients.